Corporate Badmintion Tournament : A moment of pride for CONNECT BROADBAND! Corporate Badmintion Tournament - A moment of pride for CONNECT BROADBAND! 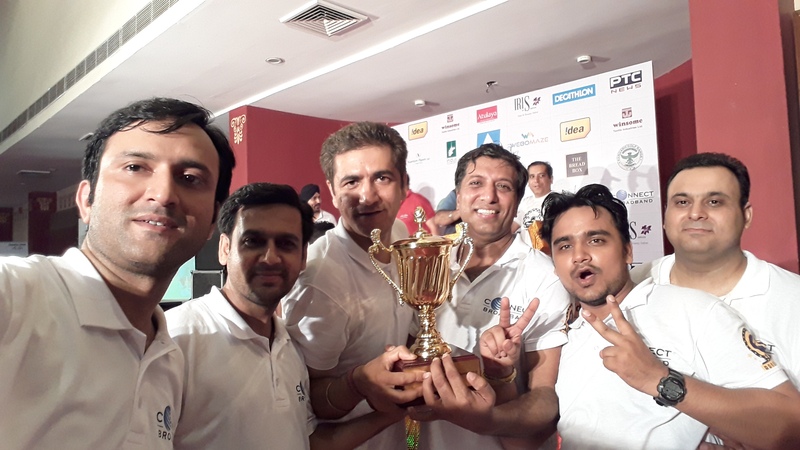 Panchkula, July 22, 2018: Congratulations to the Connect Broadband’s champions on winning accolades for our organization by exhibiting commendable performance in Corporate Games organized by Chasma Shah Sports. The tournament named “CHASMA SHAH CORPORATE INDOOR GAMES” was held at The FORT RAMGARH in sector – 28, Panchkula, on 22nd July 2018. Our representatives competed against eight corporates like IDEA, Alturist, Webomaze, Winsome and others. They have graced the name of CONNECT BROADBAND with victory and pride by achieving 1st Position in Badminton Tournament. At QUADRANT TELEVENTURES LTD (formerly known as HFCL Infotel Ltd), all our energies are focused on realizing our vision - 'To be the most admired telecommunication and infotainment service brand through innovation and excellence'. We understand the importance of delivering quality products and services to nurture long lasting relationships with our customers.